On this day last year, I booked my TEFL course and my flight to Costa Rica. That was the moment that changed my entire life. I made the choice to leave everything. 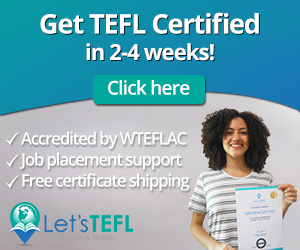 I made the choice to start a new life in a foreign country. I left behind friends and family. I left behind normal. Being in Costa Rica is a life that is always changing. Every day I am pushed to learn something new, whether it’s a new word in Spanish or overcoming a fear. I knew coming to Costa Rica would change my life. It knew it would give me the courage and freedom to be myself, to find my true self. It has done just that. I have found so much within myself I never knew was there. I told my now ex-fiancé that I could no longer be with him. I started dating Spanish guys which is an experience all in itself. I have learned how to take care of myself when I am sick. I learned how to comfort myself in times of sadness and grieve. I learned how to say no to things that no longer work for me. I am learning how and when to talk. I have learned that I could have children one day. I learned how to drive a manual car. I am learning how to speak another language. I am learning how to be a better teacher with my students and others around me. 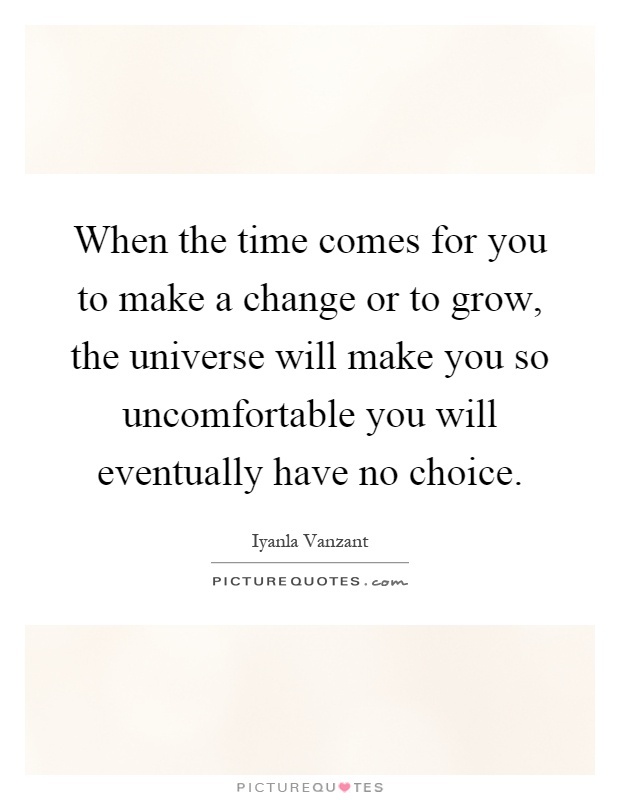 I recently read a quote, “When the time comes for you to make a change or to grow, the universe will make you so uncomfortable you will eventually have no choice.” This is what happened to me. A year ago, I wrote about this experience a little bit. I was at a job that made me physically and emotionally sick so much so, I had to make a change. I started to feel uncomfortable way before the job. The job was the last thing I needed to make it happen. There were many things that I was not happy with that I couldn’t seem to overcome. I felt like I was stuck in a cycle that I couldn’t break free of. I felt like I was fighting to survive so I had no time to live. In 2014 and part of 2015, I was in good mental and physical shape. I was making improvements in my life. I felt like I was living. Then, at the end of 2015, I decided to move in with Jon and his dad. This was the start of being “uncomfortable”. I loved Jon and his Dad. I still do. They will always have a special place in my heart. When I moved in with them, things started to change within me. Things I didn’t like and I didn’t know what to do with. The experience of living with them was the best thing that I needed. It is something that I would go back and do again if I had too. When I was there, I didn’t know what was happening. I didn’t understand why I couldn’t do the things I had done in the past. I didn’t know why I stopped eating healthy. I didn’t know why I stopped exercising and gained weight. I didn’t understand a lot of things that I now understand. After having the time to myself here in Costa Rica I understand all of the why’s I didn’t know before. I understand on a deeper level what it is like to live and not just survive. I know what it is like to be free. I am thankful for Jon and my family for helping me make the transition to this new life. I know Jon is not in my life as much as he used to be and that’s okay. I am thankful for all the things he has done to help me become the person I am today. When I decided to make this move last year he was the one that supported me the most. He helped me emotionally, mentally, and financially. He knew that when I moved, there was a high chance that I would leave him. He helped me anyway. I have learned to give without expecting anything in return because of that man. That man can give without expecting anything in return. I have never felt the love and appreciation from someone as much as I did from him. My life will never be the same because of him. He is an amazing guy that I know will do amazing things. I hope him all the best in what he does. He has touched my life in ways one could only imagine. It will come back to him in ways he could only dream of. The guy that I spoke about in my last post, I have to thank him too. I have to thank him for being patient with me and letting me do what I do to learn. He isn’t perfect and neither am I. The things I have and am currently learning from him is beyond what I could put into words. I realize that the last post I wrote was not as well written as I thought it could be. I could have written that in a way that I didn’t have to mention him or portray him in the way that I did. I have opened my heart to things I never knew I could because of him. I will cherish the time I have with him. I will continue to learn and grow from him. He is a mirror for what I need to learn. I am thankful and appreciative of everything that he does and doesn’t do for me. I am not sure I would be learning the things I am if it wasn’t for him being the mirror he is for me. I hope to continue to learn from him. Life is a process of learning. I am learning to do things for people no matter what will happen. Everyone deserves someone to be there for them and show them love regardless of the outcome. Be a light for people in your lives because you never know how that one thing will change their lives. If someone does something for you even though it might be hard for them, grow and learn from it. Be grateful for what they have given you. Even if you can’t give back to them the way they did for you, give back any way you can. Life is short. Love and appreciate every little thing. I am learning to use my words wisely and with love. I am learning to change my perspective so that I can write or speak in a more loving and caring way. Anything is possible.